Thousands of Christian women live a terrible secret. The church has held the position that a woman's place is to submit to her husband regardless of his treatment towards her. This reality is beginning to change, slowly. 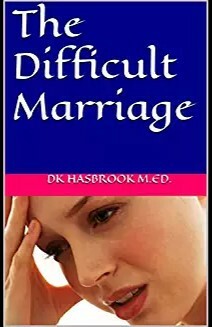 The Difficult Marriage is a euphemism used in the Christian community for an abusive marriage. This book describes what abuse is and the types of abusive behaviors. It includes several true short stories of abusive situations. You will also find what the Bible really says about spousal maltreatment in relationships and information on how to get free.